MERIDIAN, Miss. – A Mississippi chief has disclosed a dashcam video that is unflattering toward an officer of his department shown using unnecessary force on a handcuffed prisoner. 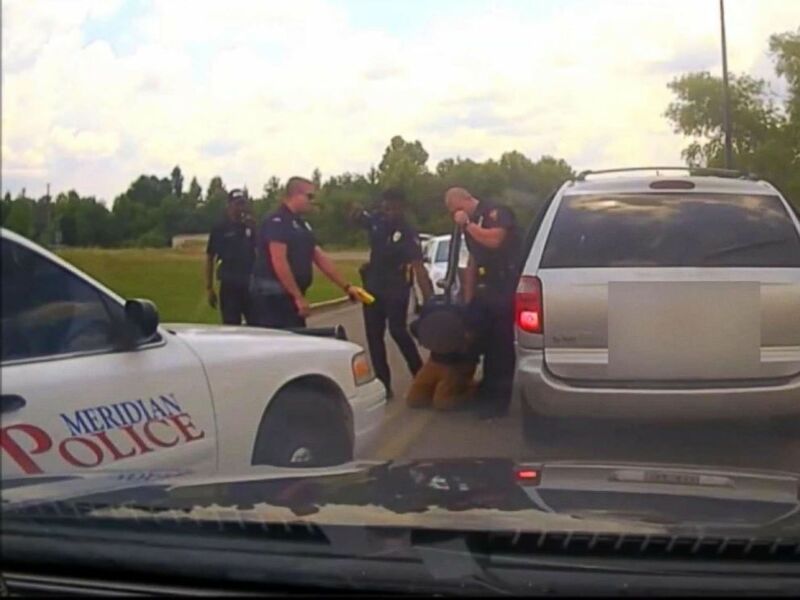 On July 16, Meridian Police officers chased a driver of a silver van around a Walmart parking lot because he was suspected of shoplifting, WTOK reported. The dashcam video begins as one of the officer’s radios for back up as he speeds through the lot after the suspect. 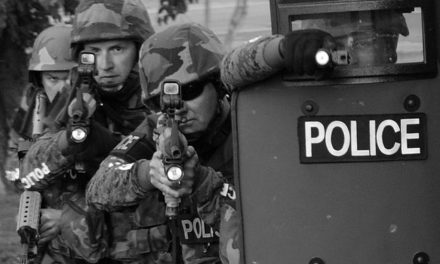 When the driver stops, the officer approaches the car with his weapon drawn before opening the driver’s side door and handcuffing the suspect up against the van. Two more police units roll up as the first officer continues to detain the suspect. An officer identified by ABC news as Daniel Starks then exits his car, pushes the suspect against the van and then strikes him on the neck with his forearm.Starks and the suspect then exchange a few words, according to WTOK, before Starks pulls out his Taser, immediately dropping it to the ground. Once Starks retrieves it, he uses the Taser on left shoulder of the suspect, causing his knees to buckle and before he falls to the ground. Two additional officers stand on either side of the suspect in an attempt to get him on his feet, and Starks places his hand around the suspect’s neck and applies pressure, apparently trying to get the man to his feet. Once the suspect is on his knees, Starks points his Taser at him for a second time, aiming toward his head. Starks was initially suspended without pay but was given a final notice of termination on Monday due to use of excessive force, which went into effect Wednesday, according to WTOK. Starks has not been charged with a crime. The department has “zero tolerance” for any use of excessive force, Meridian Police Chief Benny Dubose told WTOK. Dubose said that proper protocol was followed up until the first officer handcuffed the suspect, including when he approached the car with his weapon drawn. 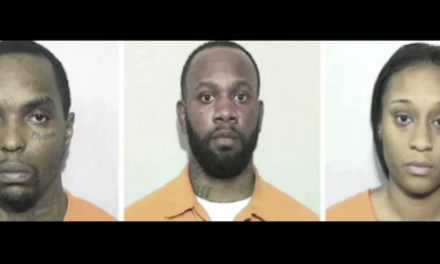 It was unclear whether the shoplifting suspect was charged or whether Starks will eventually face criminal charges. The Lauderdale County District Attorney’s office was unavailable for comment. NextWhat Five Have Your Six? Where Is Your Gun Belt When You Are on the Commode?